Phobya quietly entered the watercooling market in late 2008 with a socket 775 CPU look that was quite different from others on the market, an extremely thin base and complex injector plate. Their expanding product line has been primarily available in Europe – Phobya is a German company after all – but the products are finally starting to make their way to the USA and Australia thanks to their primary distributor, Aqua Tuning. 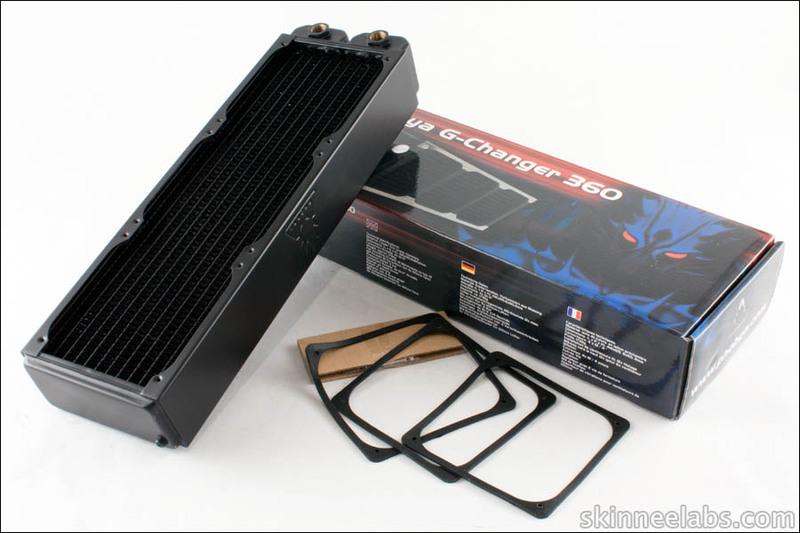 There have been rumors abound that the G-Changer is a close match or even a copy of a similar named radiator, but as you will see the similarities are mostly product naming. SkineeLabs have changed their review procedure this year, and this is one of the first products to run the new gauntlet.